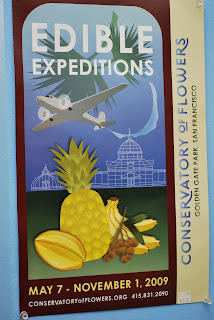 The Conservatory of Flowers, located in Golden Gate Park is currently featuring “Edible Expeditions” through November 1, 2009. This display features exotic plants from around the world which are also edible or related to edible plants. Throughout the Conservatory are many orchids. 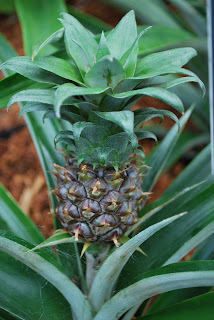 In the room featuring the “Edible Expedition” exhibit there are many flowers and plants that can be eaten, such as pineapple, cocoa plants, and star fruit. Apparently, we just missed a start fruit earlier in the week. 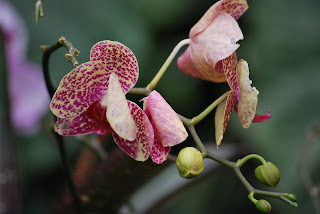 On my last visit to San Francisco, I went to the Conservatory of Flowers for the first time. This time, there were some different flowers, mostly orchids. The hot house room was steamier than before and my camera fogged up right away…it was almost impossible to get a shot in this room, because my camera lens kept fogging up after I cleaned it. 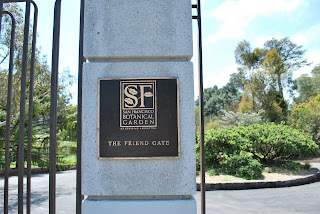 On the other side of the California Academy of Sciences and the de Young Museum, is the "Friend Gate" entrance to the San Francisco Botanical Garden at Strybing Arboretum. 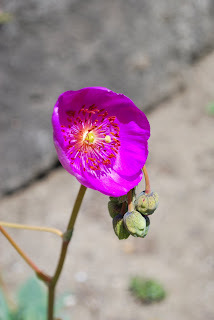 I had been to the Botanical Garden before, but it was in the fall, so there weren’t a lot of flowers in bloom. 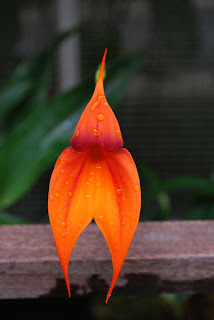 Since the trip to the Conservatory took place first, and it was getting close to lunch, it was not as extensive a trip to the Botanical Garden as I would have liked. There were also some areas that were under construction. 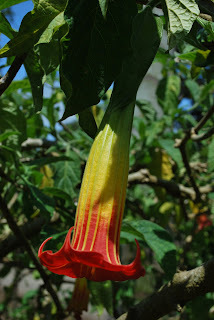 I did, however, see some of the flora of Australia and Chile. One day I will have both the time and energy to explore the garden to their fullest extent. 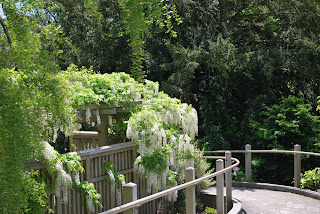 The San Francisco Botanical Garden is 55 acres with more than 7500 varieties of plants from around the world, so definitely requires both the time to spend in the gardens, as well as the physical energy to walk through them in their entirety. While I didn’t go to the Rose Garden in Golden Gate Park, located at John F. Kennedy Drive, it was in full bloom and looked quite beautiful as I drove by.